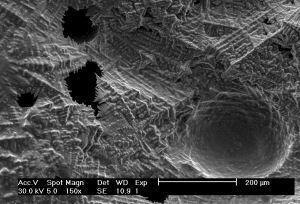 The graphene on this splat-cooled nickel sample was too thin to produce unsupported membranes. Pockmarks are obvious, and some of the voids are surrounded with dendrites. At this scale, the dendrites become visible. These features appear to form after the melt has impacted the vacuum chamber floor, where the melt is grounded. 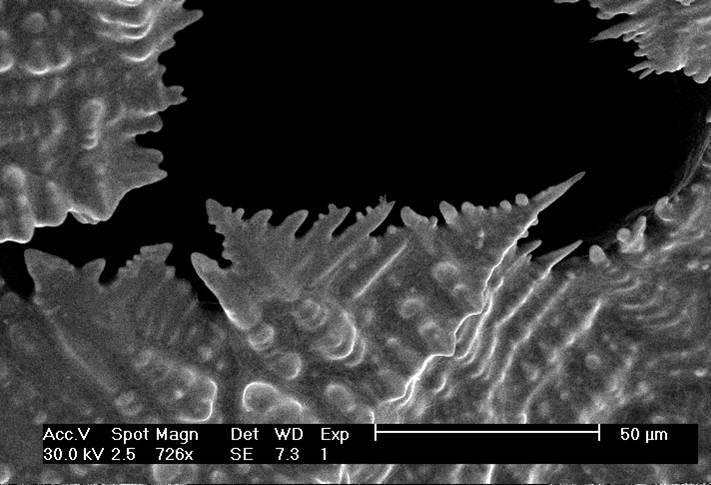 Unlike the thinner dendrites on the cactus-like samples, dendrite formation here cannot be attributed to electrostatic field stress. 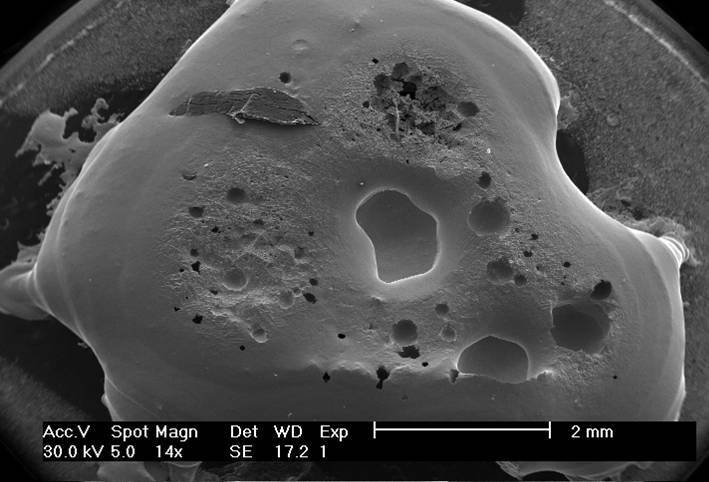 Micron-scale dendrites are surprisingly reproducible, precipitating from splat-cooled samples of iron, nickel and cobalt. 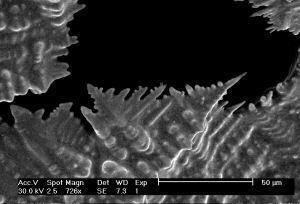 The smaller "cactus spine" dendrites are less common and apparently associated with extremely thin graphene deposits. The carbon-saturated samples studied so far tend to yield graphite of micron-scale thickness. 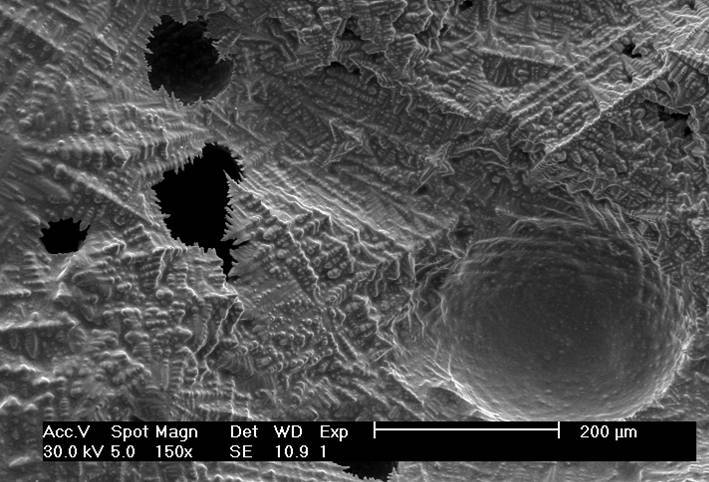 Predictable synthesis of graphene nanostructures may require better control over the carbon concentration.